Little Bird of Heaven by Joyce Carol Oates is a riveting story of love violently lost and found in late 20th century America . In this novel, Oates returns to the Buffalo , New York , region to brilliantly explore the dangerous intersections of romance and eroticism, guilt and obsession, desire and murder. 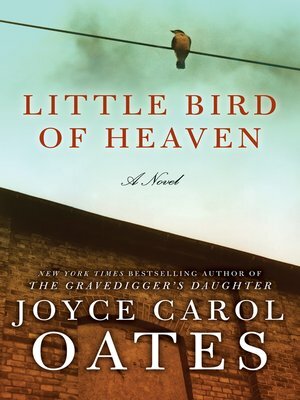 Little Bird of Heaven, a soaring work by the New York Times bestselling author and a nominee for the 2009 Man Booker Prize—one of the world's most prestigious literary awards—is as powerful and unforgettable as Joyce Carol Oates's previous acclaimed novels The Gravedigger's Daughter and We Were the Mulvaneys.